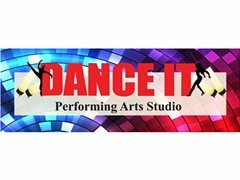 Dance It Performing Arts Studio (formerly Sandra Fleeton Dance Company) is located in Punchbowl and Liverpool. The studio has been established 30 years and remains vibrant and relevant in today's dynamic Dance industry. Creating performance opportunities open to all of our students is a special feature of our studio. We see learning as fun and performing as fabulous. Saturdays at our Punchbowl studio from 8.30am to 2.30pm.